Once driverless taxis have been on the roads for a year, Singapore goes a step further testing autonomous buses. As part of efforts by the Committee on Autonomous Road Transport for Singapore (CARTS) to develop and deploy autonomous vehicles (AVs) to enhance Singapore’s land transport system, the Land Transport Authority (LTA) has signed a partnership agreement with ST Kinetics to develop and trial autonomous buses. ST Kinetics will develop and integrate the AV technologies on to two 40-seater electric buses that can be deployed to serve fixed and scheduled services for intra- and inter-town travel in the future. To navigate autonomously, the buses will use a satellite-based Global Positioning (GPS) System and a suite of sensors to scan and determine their location and immediate surroundings. The buses will also have radar and sonar that are able to detect other vehicles and pedestrians up to 200m ahead. In addition, ST Kinetics is also working to improve the autonomous buses’ ability to navigate in heavier rain conditions, up from the current 10mm/h to 30mm/h. 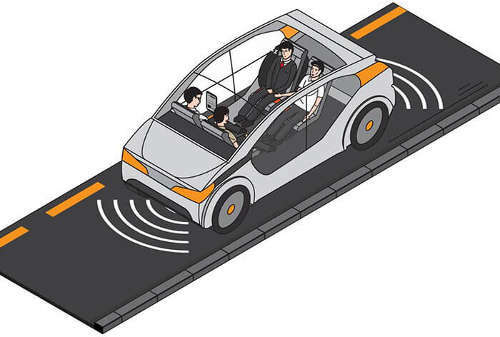 The three-and-a-half year project will see the autonomous buses being tested in various environments. LTA is working with stakeholders such as the National University of Singapore (NUS) as well as JTC to look at suitable trial locations, which can potentially include Jurong Island and NUS’ campus. The initial testing will be conducted during off-peak periods at an industrial area where the road infrastructure is less complex. As the autonomous buses are gradually equipped with more advanced capabilities, they will be progressively introduced to more complex trial sites. The development and testing of the autonomous buses will aim to cover as many scenarios faced by bus feeder services as possible, to deepen understanding on the current state of the technology and to prepare for eventual full-scale operations in the future when the technology matures. In the longer term, it is envisaged that the trial could be extended to public roads in towns to enhance intra-town travel.